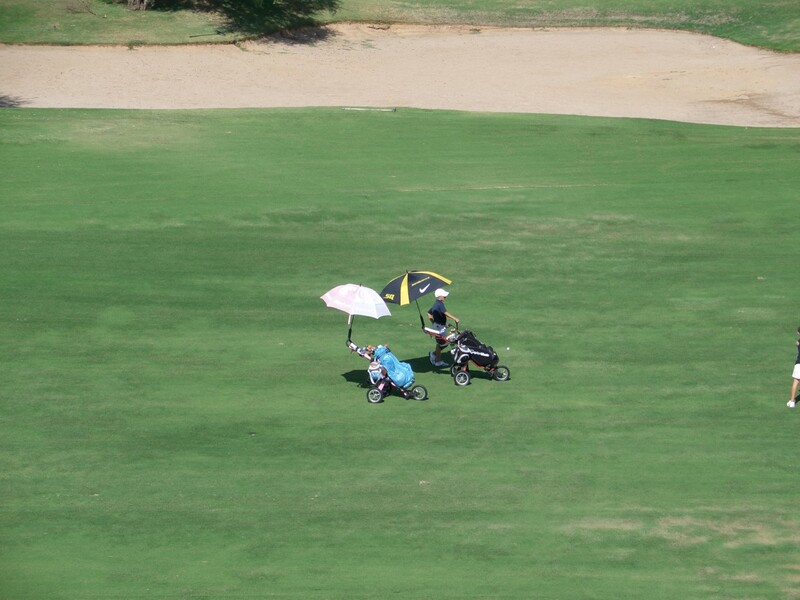 If you're going to play golf in the Arizona heat, you better bring along your own shade. 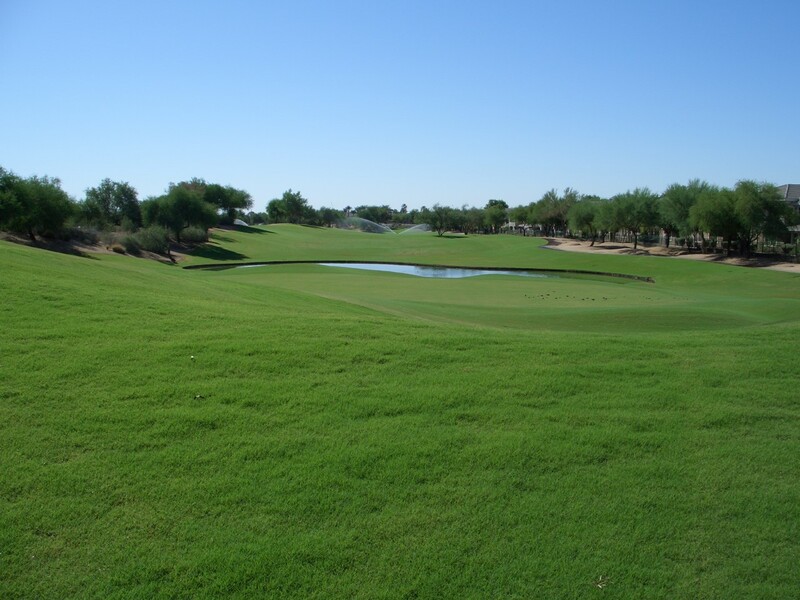 They sure do keep the golf course grass green, even in that desert climate. 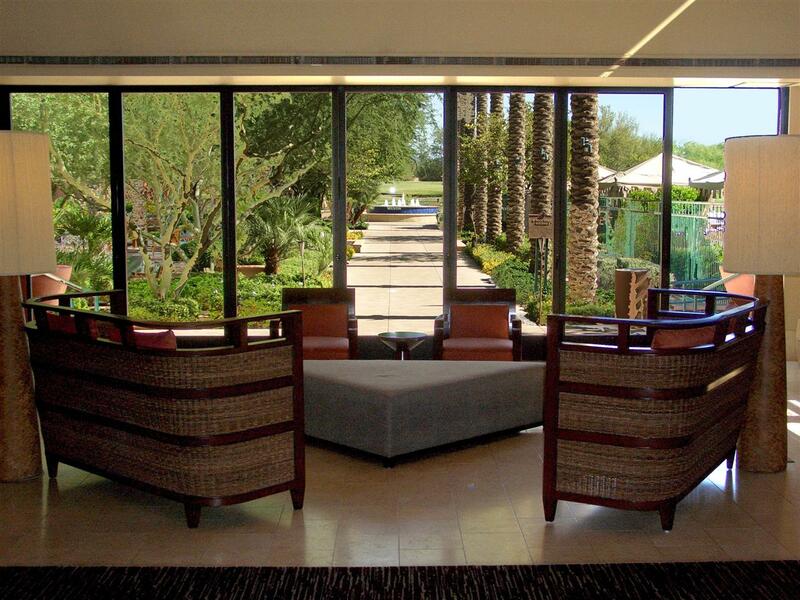 The timeshare lobby has a comfortable lounge inside ... ... and another sitting area outside. 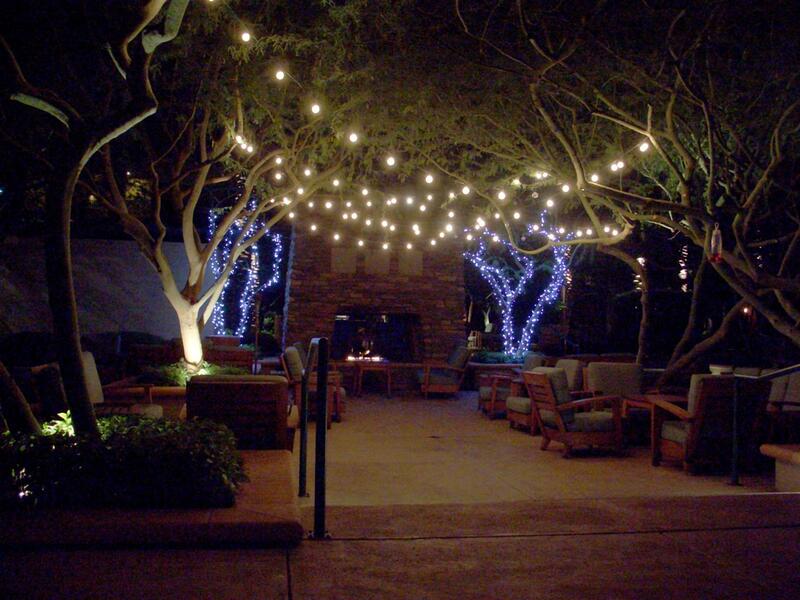 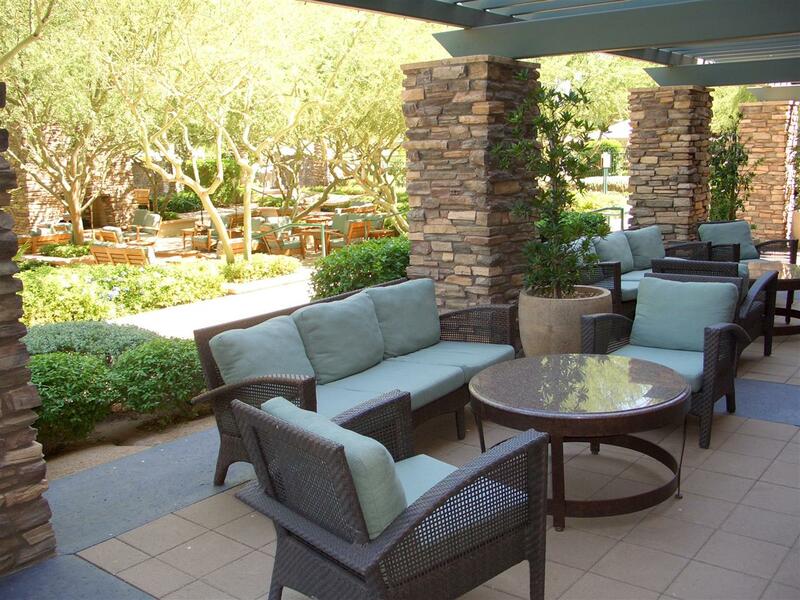 For after-dark lounging, there's a nice large outdoor living area with fireplace. 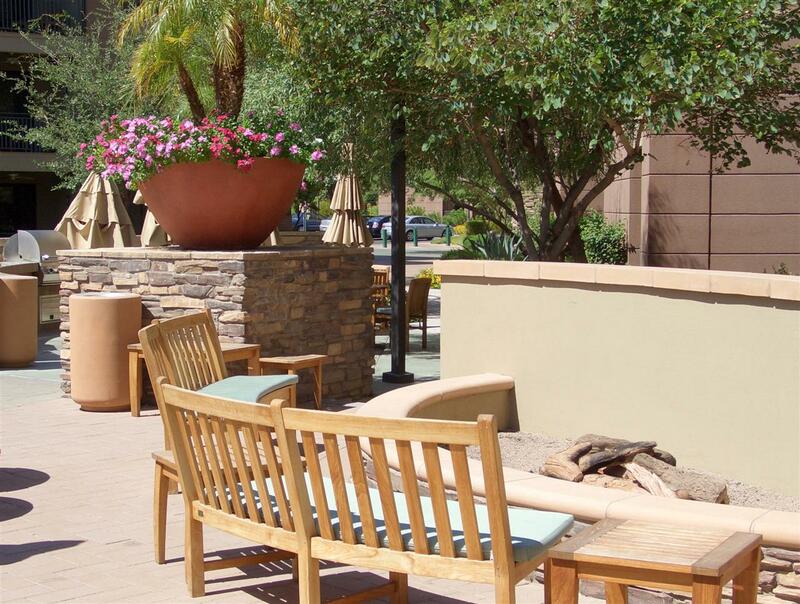 For a little more privacy, there are a few small fire pits scattered around.